This SaleHoo review describes how a strong community that brings together a large number of verified wholesale distributors and online sellers/retailers can help you find wholesale merchandise and then sell it for a profit on sites like eBay or other sites. Not so long ago I had the pleasure to review SaleHoo and found that it is one of the best resources for finding wholesale distributors or wholesale merchandise for whatever your niche might be. It’s true that when you are a beginner, trying to sell on eBay or Amazon it can be a bit intimidating. To overcome these difficulties, a qualified help is more than welcome. An online community like SaleHoo can help you by making available to you all the know-how and expertise you might need in order to be a successful online seller. The members of the SaleHoo community make this place one of the most active places for wholesalers to find and share information, tips, knowledge, and best practices for people who buy and sell on the internet, and can help you to fully reach your potential. There are over 8000 verified wholesalers listed in SaleHoo, and these can give you access to wholesale merchandise in every imaginable industry or niche. In many cases, suppliers from SaleHoo will have a low minimum order, or no minimum order at all, which is very helpful especially for small business owners. One of the features I like is how easy it is to search in SaleHoo to find what you need or what you are looking for. SaleHoo member reviews can give you feedback on suppliers you would like to use and these reviews can help you decide what supplier is best for your needs. You can easily find suppliers that will do drop shipping or international shipping for you. There are two excellent ways to get help on SaleHoo if you need some advice: support staff is present for 10 hours a day, six days a week, reachable by phone or email, and of course, there is the very active forum where like-minded people share their knowledge, thoughts and offer help to those who ask for it. A number of information guides are available for members. You will find information on how to get started, selling tips, dropshipping, profitable products, shipping info, some niche specific guides, how to find suppliers, etc. What I particularly like about SaleHoo is the clean layout of the website and the way the site is organized. You can easily find your way around and usually the information you are looking for is only a few clicks away. One thing that could be improved is that some of the articles could be a bit more to the point. I found that in some instances the information was either not so easy to follow or diluted. However, the variety of resources more than compensates for these shortcomings. Joining SaleHoo will cost you a $67 fee per year. The membership will get you access to the supplier directory, forum, customer support, training guides and the excellent research labs. They also offer what seems to be the norm these days for this kind of products, which is a full 100% money back 60 day guarantee. 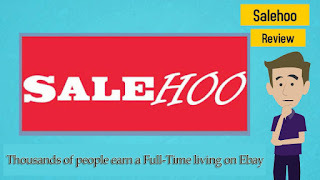 The SaleHoo membership brings tremendous value for a very affordable price. Just be aware that just like with any product that deals with information (in this case lots of information! ), there is a bit of a learning curve at the beginning. And to answer the question in the title, SaleHoo is in my opinion one of the best places to find wholesale distributors or wholesale merchandise for your on-line or off-line business.